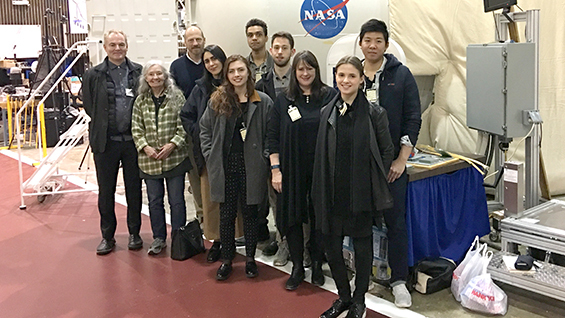 Winners of NASA’s 2018 eXploration Systems and Habitation (X-Hab) Academic Innovation Challenge include the Mars Habitat Commonality, consisting of four teams led by faculty David Akin (University of Maryland), Michael Fox (California Polytechnic State University), Nilton Renno (University of Michigan, Ann Arbor), and Cooper Union Associate Professor Michael Morris. This effort is a continuation of designs for space habitation modules initiated by Morris’ late partner, Yoshiko Sato AR’89 in 2006, now in its 13th year. Each group will tackle the design of systems and technologies that can sustain “an extended human presence beyond Earth’s orbit,” either as a satellite space station located in Martian orbit, on the moon Phobos, an asteroid body, or ultimately on Mars itself. This will be Morris’ 6th year teaching the space studio program.